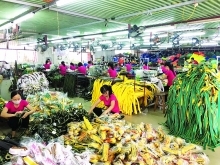 (VEN) - The central province of Quang Nam has set a target of becoming industrialized by 2020. Support industries will be developed into a spearhead economic sector to contribute to achieving that target. Under the plan of the Quang Nam Province People’s Committee, the Chu Lai Open Economic Zone, with five industrial parks, will accommodate manufacturers and assemblers of components and materials for automobile and textile-garment production. 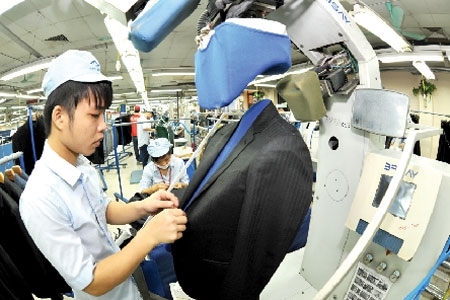 Support industries serving the automobile and textile-garment sectors have already recorded significant achievements in Quang Nam, and the province as a whole has recorded 13 percent annual growth in recent years. Benefiting from preferential policies, and with its long-term consistent investment, the Chu Lai-Truong Hai Automobile Mechanical Industrial Zone has already become the biggest facility of its kind in Vietnam, serving automobile production nationwide. The industrial zone has attracted 23 companies and factories, including four automobile assembly and manufacturing plants, a company producing vehicles for special use from the Republic of Korea (RoK), and eight spare parts and components manufacturing plants. It also includes the Tam Hiep-Truong Hai port, and a logistics center. To minimize component imports, the Truong Hai Automobile Co. Ltd. has developed support industries in the open economic zone. The company has formed a nationwide system of part and component suppliers for manufacturers, especially foreign-invested enterprises and leading producers in different localities, including the Central Key Economic Zone. Truong Hair has gradually developed its component design and manufacturing capabilities while attracting investment to mechanical support industries. Quang Nam has attracted efficient investment projects including the Chu Lai Float Glass Joint Stock Company, the Dong Tam Ceramics Co. Ltd, major tourism projects of the Indochina Capital, VinaCapital, Victoria, Golden Sand and Palm Garden, among others. According to the provincial people’s committee, Quang Nam will strive to reduce the rate of textile-garment material imports to 50 percent, reach an industrial production value of VND6.8 trillion by 2020, and form a Quang Nam Textile and Garment Center with support industry factories in the Central Key Economic Zone. Garment factories are expected to earn revenues of VND4-5 trillion by 2020, export revenues of about US$200 million per year, and provide jobs for about 10,000 people by 2020. With special advantages related to land and good infrastructure and favorable policies, the Tam Thang Industrial Park now takes the lead in attracting textile-garment support industry projects in central Vietnam. In Tam Anh Commune of Nui Thanh District (part of the Chu Lai Open Economic Zone), the RoK’s C&N Vina Co., Ltd is building the Tam Anh-Korea Industrial Park at a total cost of VND525 billion to serve the knitting, dyeing, sewing, fashion, accessory industries.